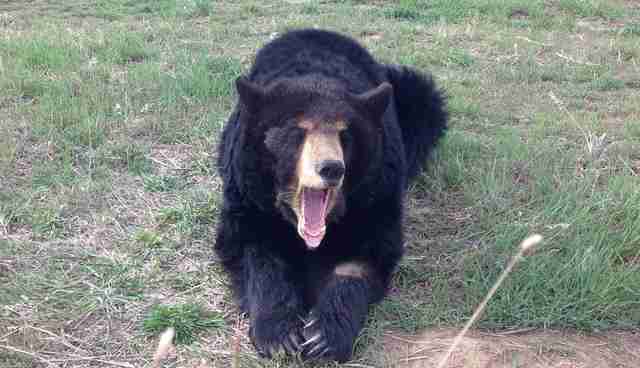 Now that her winter hibernation cycle is complete, Ricki the female Black Bear that formerly spent nearly 15 years of her life in a small concrete and steel cage behind Jim Mack's Ice Cream Shop in Pennsylvania, has been seen exploring her new natural home at The Wild Animal Sanctuary (TWAS) in Colorado. Like other rescued animals that come to the Sanctuary, Ricki was initially placed inside a specially-designed introduction pen that would help buffer her transition as she went from spending her entire adult life pacing inside a small concrete and steel cage, to being given unrestricted freedom to roam within a 15 acre natural habitat complete with underground dens, grass, trees, ponds and other rescued Black Bears. However, once she became acclimated to her new home, Ricki chose to go into a hibernation cycle since winter on the Colorado plains was not yet complete. After finishing her mid-winter slumber, Ricki awoke this spring to the sight of vast Colorado skies above her and the sound of Meadow Larks and other birds urgently working on vital spring nesting sites. TWAS staff evaluated Ricki's condition and determined she was ready to be released into the full habitat. 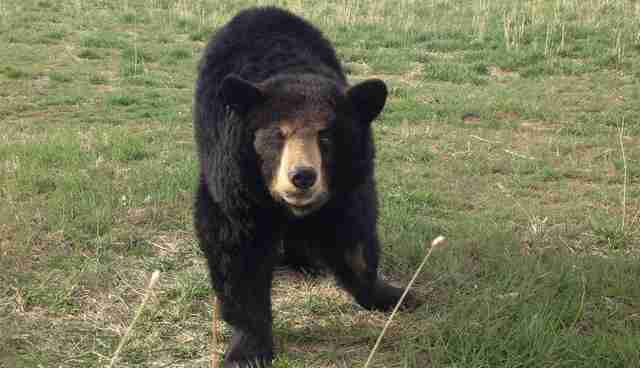 Once her introduction pen door was opened, Ricki began making short exploration trips into her new large acreage home. In addition to getting used to the layout of her new digs, Ricki was able to begin making friends with some of the other rescued Bears that share the space. 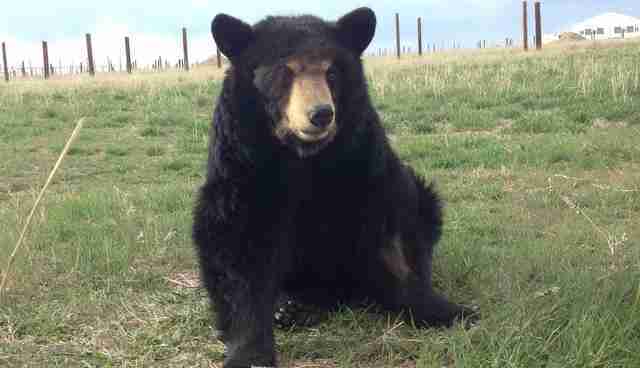 Josie, a small female Black Bear that had been previously rescued from an illegal Bear Baiting operation in North Carolina, was the first Bear Ricki befriended, and the two were seen hanging out together on numerous occasions. Yet, with all the new sights, sounds, and other furry inhabitants, Ricki is still playing it safe and chooses to return to her introduction den each night. This is a natural response the Sanctuary's staff sees with new arrivals, as they realize it's a challenge to make the transition from being in a total foreign environment like she used to live in - to being given wide open spaces and the natural amenities she now has. However, it never takes long for newly-rescued animals to adapt to their new surroundings, and in Ricki's case, having the freedom to walk more than ten paces in one direction, or having the option to run and play with others of her own kind is something she will begin to not only enjoy - but relish very soon. With a whole new world in front of her, Ricki is progressing quite well, and it won't be long before she will take her fist swim in the habitat's cool and refreshing pond, or chose to frolic with Josie or one of the other rehabilitated Bears she lives with. Ricki will have a long summer season ahead of her to begin making her own personal choices of what to do, and it's great to see her off to such a great start!